Two-dimensional data needs to be processed and analysed in almost any experimental laboratory. 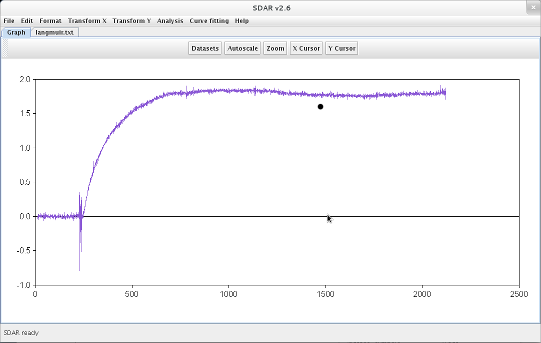 Based on Java classes developed within the Program Collection for Structural Biology and Biophysical Chemistry (PCSB), the Java application Serial Data Analysis and Regression (SDAR) enables graphical visualisation, transformation and fitting of two-dimensional data. 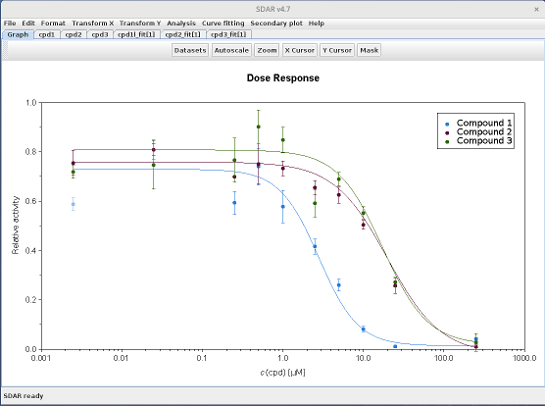 SDAR is a simple-to-use and portable Java application with an emphasis on intuitive usability and quick access to a variety of laboratory-derived raw data. Data can be manipulated and analysed with respect to common operations. 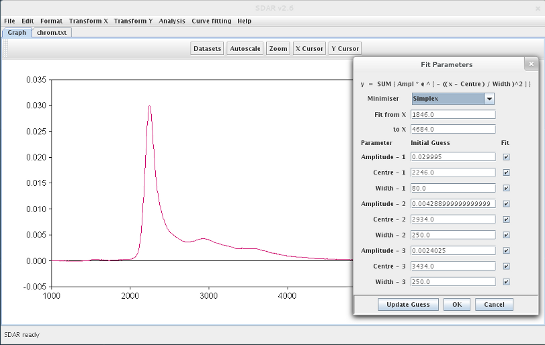 Images of the data plots can be generated in SVG-, TIFF- or PNG-format. using either Simplex or Levenberg-Marquardt minimisation, or manual adjustment. It is also possible to mask individual data points. Correction of drift using the linear baseline feature. 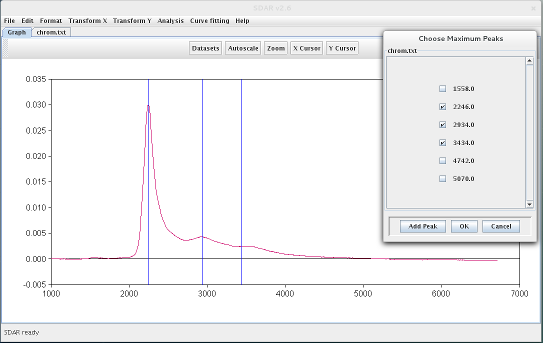 Automatic detection and manual editing of maxima in a chromatogram. 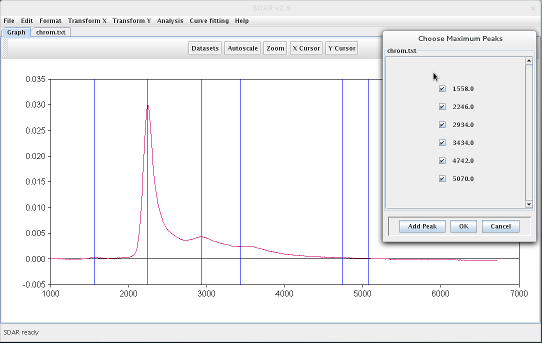 Automated and subsequent manual fitting of Gaussians to chromatogram peaks (requires setting of maxima). 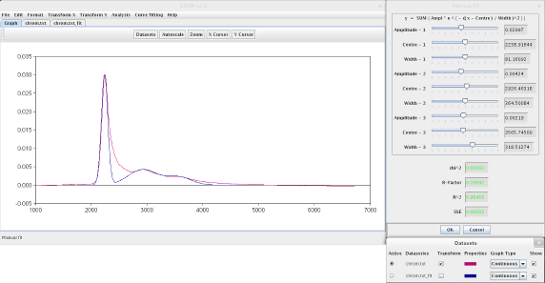 Automated and subsequent manual fitting of dose response data displayed with logarithmic x-axis. Download SDAR from the PCSB home page. Weeratunga, S.K., Hu, N.J., Simon, A., Hofmann, A. 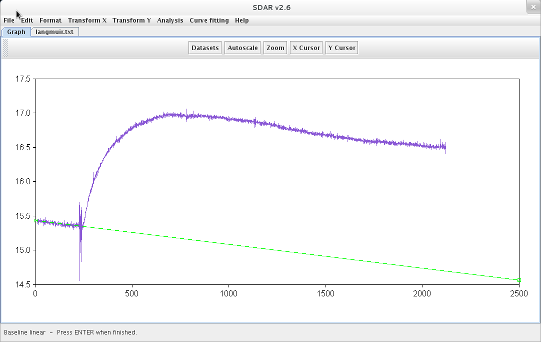 (2012) SDAR: a practical tool for graphical analysis of two-dimensional data. BMC Bioinformatics 13, 201.